HANOI, -- Vietnam is considering a purchase of advanced weapons systems from Israel, with the nation's air force eyeing an advanced version of the Israel Military Industries (IMI) Delilah standoff-range water- to-surface missile. The system was included in the recent discussions between Vietnamese President Tran Dai Quang and IMI chairman Yitzhak Aharonovitch in Hanoi. Israel has Become a significant partner to Vietnam in defense activities. 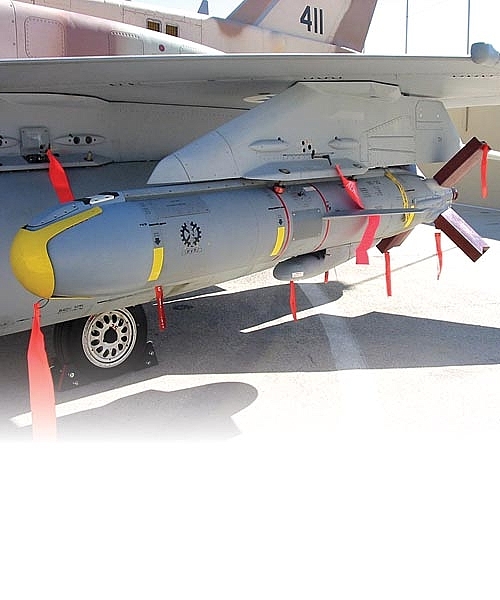 First used in combat by the Israeli Lockheed Martin F-16s over Lebanon in 2006, the Delilah has a range of 135nm (250km) and can carry a variety of warheads. IMI has been upgrading the weapon's capabilities, based on the operational experience of its domestic customer. The missile is 2.7m (8.8ft) long and weighs 187kg (400lb). Flight Fleets Analyzer records the Vietnamese People's Air Force as operating 36 Sukhoi Su-22 strike aircraft and 40 Su-27/30-series fighters. The Israel Military Industries Delilah air-launched stand-off missile and cruise missile with a range of 250km.